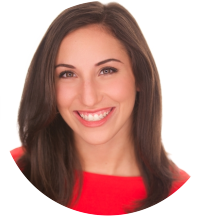 As an experienced dietitian, Jennifer Calo expertly balances the rigors of evidence-based medical nutrition therapy with the art of compassionate listening and her approachable demeanor. Over the years, Jennifer has developed a wide range of knowledge in clinical nutrition care and has a particular keen interest in serving patients with diabetes. She also serves patients in need of weight management nutrition, bariatric nutrition, heart disease, eating disorder, maternal nutrition and general wellness nutrition. Jennifer received degrees from Cornell University and LIU Post, Brookville, NY and completed her clinical nutrition internship at C.W. Post Campus of Long Island University. Jennifer is a Certified Diabetes Educator (CDE). Jennifer is also a Certified Leap Therapist (CLT). Note: sees patients 13 years and older. Jennifer is very knowledgeable about nutrition and gave me helpful tips specifically for me. She made me very comfortable and answered all my questions. Very nice office. Jennifer Calo is absolutely the best kind of nutritionist a person could ask for. She is patient, understanding, and takes time to understand your specific needs. She always follows up, and will stay late into the evening if needed. I have recommended her at length to family and friends! Dr. Calo is very sweet and understanding. First time seeing a nutritionist. Great experience! She was so lovely! Jennifer gave me great ideas on what to eat , had comprehensive information and listened to what I like to eat. She dispelled some myths I had about food. Jennifer had no judgement which was very importantto me since i am still readjusting what I eat. I’ll definitely be seeing her again. She was great. She understood me and my nutritional issues. Can't wait to work with her. Dr. Calo is wonderful and kind! She was a fantastic listener, was immensely relatable, and made very insightful suggestions. Straight forward and seems to have a good handle on the subject at hand, which is sports nutrition. Jennifer was warm, very professional, and knowledgeable. However, I was looking more for a diet or regimen I could follow based on my age and my needs. I wasn't sure what to expect. However Jennifer is great. She is warm, kind, helpful, nonjudgmental and she listens. She wants to help you set realistic obtainable goals. I like her a lot. Too bad I just found out that myinsurance won't cover her services. I think that she would have been extremely helpful. Very caring and knowledgeable. She took time to answer all questions and offered a wealth of information. Highly recommended. She provided me the exact information and guidance I was looking for. Great appointment but no follow-up. She gave great me a good plan to follow and sends me newsletters. I would go back again. Jen created a safe and warm space to discuss the challenges I have been facing with my health. I feel like I have partner who is committed to transforming my eating lifestyle. I would highly recommend Jen! I was looking for a nutritionist but was intimidated and did not know where to begin, luckily my co-worker recommended Dr. Calo. She is the sweetest, makes you feel so comfortable. She is very knowledgeable and addresses all your concerns andworks with you to create a sustainable and realistic dietary/ nutritional plan that suits your lifestyle and needs. So glad my co-worker recommended her, Dr. Calo is a gem! Jennifer is very energetic and seems really interested in helping her patients. She had a lot of good suggestions on how to change ones eating habits for the better. Really nice, understanding, and totally doesn't judge! Rather than a "diet plan" it was more of a lifestyle change, kinda awesome. Although this was my first appointment with Jennifer she confirmed that the move from another nutritionist to her was the perfect move. I brought my blood work results from my general doctor and she reviewed everything with me and explainedit in a understanding manner. She gave me good advice and made me feel assured that my health is in good hands. Jennifer was great! Very knowledgeable and was able to answer all of my questions. Jennifer was great. However, when i booked my appointment, I didn't realize that this was a dietician/nutritionist office. I was expecting to be seen and have a thorough exam, including havingmy blood levels checked. However, if you're lookingfor someone to give you advice and tips for a proper diet, Jennifer is your girl! Was diagnosed with type 2 diabetes a month ago, my doctor recommended Compass Nutrition. I chose Jennifer because of her background with diabetic nutrition. Am so happy I did, Jennifer put me at ease from the time she said hello. Sheanswered all my questions and explained everything I needed to know about what to eat and why to help me control my diabetes. Have already setup a follow-up appointment and am looking forward to it! Very funny, kind, and made me feel comfortable! My experience with Jennifer is very positive. She is encouraging, helpful, knowledgeable, and very friendly. She provides lots of advice and support. I like our sessions and continue to see her. It was my first time seeking help for nutrition concerns, and she made me feel.comfortable talking about sensitive issues around food. The visit was very casual but professional and I felt that Jennifer was listening to me and making suggestions based on my needs and goals. Very helpful and knowledgeable. Will be having follow up visits regularly. Very kind and understanding and patient. Energetic and positive demeanor to help one adjust to changing life style/eating habits. Very respectful and knowledgable. She listened and was very inquisitive. Though I knew everything she practically mentioned, for someone who needed her services I would recommend. Jennifer is such a beautiful soul. She is extremely knowledgeable and professional. I couldn't ask for a better nutritionist. Jen was really professional, friendly, and helpful. It was my first time seeing a nutritionist so I was nervous, but she was great and exceeded my expectations! Dr. Calories was very pleasant and genuinely seemed to take my concerns seriously. I went in for a weight loss consultation and she explained what foods I should be eating and why. I feel optimistic about her weight loss plan of action for me. Jennifer Calo was very professional. She was everything I hoped she would be: friendly, attentive, knowledgeable, and patient. I walked away with a better understanding of my needs. I highly recommend her. I am so happy to be her client. She's absolutely lovely. Extremely knowledgeable on diabetic nutrition and health as well as every other question I asked her regarding sports nutrition and dieting. Vey insightful and overall very pleasant. She is a very upbeat, perky, pretty and has a way of letting you know, you can trust her. She explains why Doctors should not be giving diet advice, because first of all they are not diets. LIfe changes are whathelp you increase or decrease your weight. How you can really eat the foods you want as long as you also add to those meals the things you need to modify the things you like. Instead of a huge steak, take a small steak but add things you like, vegetables, salads, etc. I was able to cut 2000 calories out of my daily meal plans by removing butter, salt, cutting back on bread, cream for my coffee, and salad dressings. I am losing 2 pounds a week and I'm not hungry, the only real problem is trying to stay within a food budget when eating all of the right things. Ms Calo creates an atmosphere of trust and comfort. I was amazed at how fast 70 minutes had gone by. I left with a feeling of making huge changes just to get a smile from her when I return for afollow up. After 4 other disasters with other RD who didn't know anything about the questions I asked, Ms. Calo had an answer with an explanation about everything. It's not easy to find a good medical person here in NYC. This one is a pot of gold. Friendly, knowledgeable, and seems to really care! Looking forward to my next visit. Jennifer Calo, CDE, CDN, MS, RDN, RD has no appointments on Zocdoc right now.